As a student, it is a tough call to pull through the hectic schedule of tasks when you are sick. When you are not feeling well, it only deteriorates your health but it also affects your performance inside and outside the classroom. If possible, you should attend as many classes as possible. Even if you don’t attend the entire lecture, you’ll walk away with enough information to manage your assignment and prepare yourself for the next classes. Skipping classes is never a good idea as it results in poor grades in the semestersdue to low attendance. You can take your medicines and a bottle of water to help you pull off the day. When you are sick, you should first turn to the campus doctor for immediate help. This will provide you immediate relief from your ailment. Time is the decisive factor here. The longer you take to treat your illness, the longer it will affect your studies. When you are not well, it is important to stay connected with your classmates to keep yourself up-to-date with the current lectures and assignments. You can even borrow the notes from the student to jot down the important points of the lectures. In this way, you will be able to make up for the loss of the missing classes and you will be able to prepare yourself for the next class. When you are sick, it is possible that you struggle to focus on the lectures which make it hard for you to continue till the last minute. Therefore, it is important that you divide your time in chunks. Rather than spending twohours on completing an entire assignment, you should break it down into different tasks and then attempt each of them. This will make it possible to manage your energy and time and you will be able to keep your stress levels in control until you recover from the sickness. When you are sick, it is normal to feel down. However, it should not stop you from achieving your daily goals. What you need to do is to believe in yourself and keep working as much as you can. As long as you continue doing the hard work, you will accomplish your objectives to some extent. When you are sick, you have to prioritize your tasks in terms of their significance and deadline. You first need to complete the more important tasks and then do the other tasks that need to be delivered in a shorter span of time. Don’t shy away from taking help of one of your friends when you are sick. Acquiring the help of your best friend will help you deal with difficult academic tasks more effectively. If your friend resides too far away from your home, then you can send him a voice message, mail or you can even chat with him to convey your concerns. In this time and age, it does not make any difference when you cannot attend classes due to sickness. With availability of call conferencing and cloud technology, you can stay connected to your class even when you are at home. So don’t let the ailment be an excuse to spoil your studies and switch on your laptop or smartphone to stay in sync with your classroom. When you are sick, you’ve so many things at stake. Not only are you feeling awful but you are also suffering from the loss of your studies which adds to your misery. So it is always advisable that you restrict yourself to a strict routine so that you can get well soon. Therefore, you should avoid eating the junk food or doing the strenuous workout as these things will only worsen your condition and make you more lethargic. At the end of the day, it is your studies that would get compromised when you entertain such temptations. If you follow a strict routine as recommended by your physician, you’ll be able to save your energies that you can put in your studies. Besides, you’ll be able to recuperate sooner and get back to your routine life. 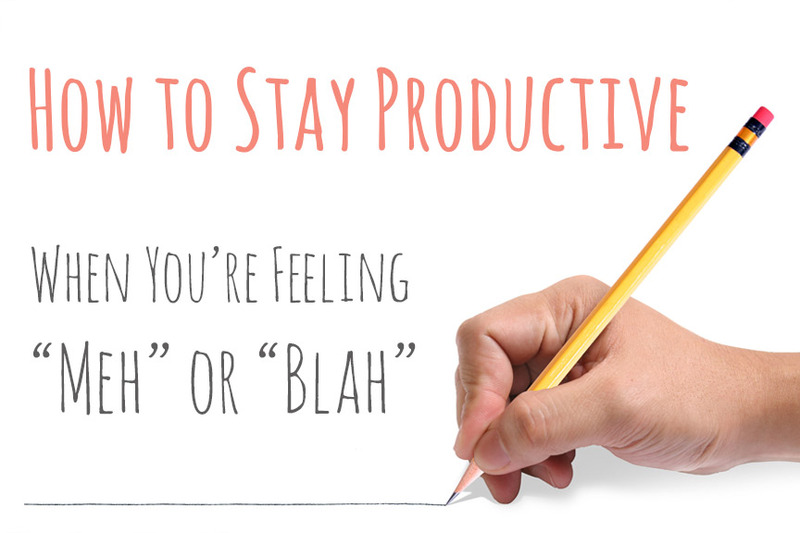 The aforementioned tips aim to help you stay productive in your class. Hope they serve their purpose effectively to making you an active student when you are sick.